On one perfectly normal day, everyone in the world stops dying. Governments scramble to find an explanation as, with every passing day, the population of the world grows larger, overwhelming limited resources. Also, whilst people are immortal, they still feel pain, and still need food so as not to live in a permanent state of starvation. Wounds don't heal properly, so the demand for painkillers goes through the roof. Society begins to crumble, and finding - and reversing - the 'Miracle' becomes the top priority for CIA Agent Rex Matheson. His only clue is one word: 'Torchwood'. 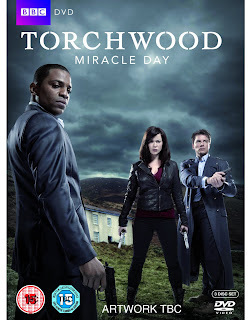 Torchwood: Miracle Day is, effectively, the fourth season of the Doctor Who spin-off show and also a self-contained ten-episode mini-series in its own right. A co-production between the BBC and American cable network Starz, the series is meant to be accessible to a new audience, but includes some continuity references to earlier episodes for established fans. 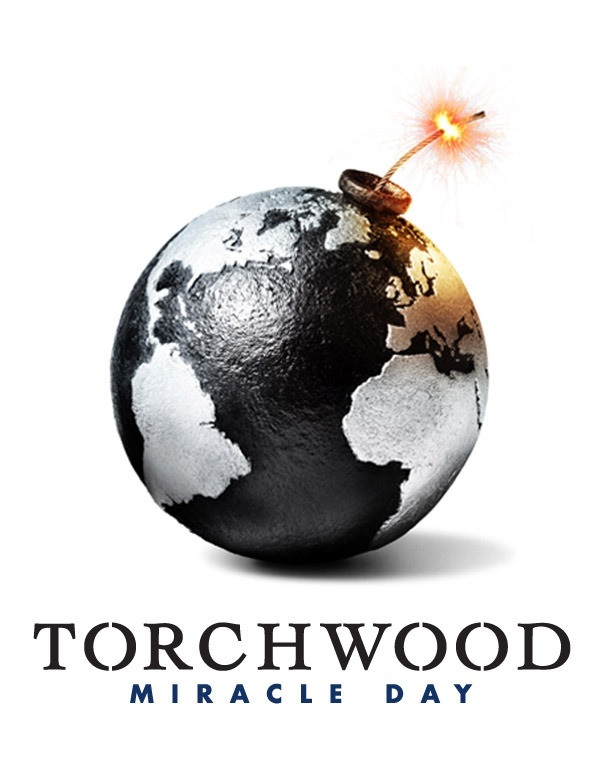 Given the success of the previous mini-series, Children of Earth, in 2009, it's fair to say that a lot of people were looking forward to Miracle Day with some enthusiasm. In the event, Miracle Day can best be described as 'stark raving bonkers'. The series has a vein of incoherent insanity raging through it that would shame even the last two seasons of True Blood. Working out what is going on at any given moment is a difficult task, as the series seems rather vague on who the bad guys are and who's working for whom and who's double-crossing whom and what their ultimate goals are. Our characters seem in a permanent state of being betrayed, arrested, deported or rescued by people who may be enemies, or potential allies, or allies who have become enemies through misunderstandings. Compared to the tightly-plotted Children of Earth (but unfortunately more in keeping with much of Russell T. Davies' other work), Miracle Day's story-telling is so diffuse and vague it might as well be vapour. On the plus side, the series features a pretty good cast. Mekhi Phifer is entertainingly gruff as Matheson, but shines in more dramatic scenes as well. Alexa Havins provides the show with a solid emotional core as Esther Drummond, whose family is caught up in the Miracle crisis in a painful way. John Barrowman and Eva Myles are as solid as ever as Captain Jack and Gwen Cooper, though they are sidelined in earlier episodes in favour of the newcomers. They come back strong by mid-season and there are some good scenes in which their character relationships and motivations are very strongly defined (or redefined). This Torchwood team is likable and entertaining, which is vital. Bill Pullman also does solid work as Oswald Danes, the murderer condemned to death row who escapes his fate thanks to the Miracle. His character arc eventually ends up getting confused, goes nowhere for most of the season and then ends in cliche, but Pullman does the best he can with the material he's given. Arlene Tur is very impressive as Dr. Juraez, who provides an important POV on the medical ramifications of the crisis in its early stages. Lauren Ambrose is also excellent as the PR woman from hell, Jilly Kitzinger, though she is under-used until the last couple of episodes. Later on, we get guest turns from Star Trek alumni Nana Visitor and John de Lancie, though unfortunately both roles are under-written and under-developed. More impressive is Daniele Favilli, who only gets one episode as Angelo (a former lover of Captain Jack who appears in flashback) but makes the most out of a small role. The show has some serious cash behind it, which is best-seen in an epic helicopter battle in the first episode. Unfortunately, this generous budget appears to have been stretched thin by the final episode, which features some painfully obvious re-use of the same sets and some frankly atrocious bluescreen work for this day and age. The less said about the 'crack in the world' CGI effect, the better. One of the most enticing prospects behind the series was that, as an American production, they'd be able to hire a decent composer. However, I can only conclude that Murray Gold has some serious dirt on Russell T. Davies. It's the only explanation for why he keeps hiring him despite Gold's total lack of talent. His music, utterly terrible since the very first episode of the new Doctor Who six years ago, is at its most bombastic, tonally inappropriate and grating here. The strengths are good enough to keep watching, but the weaknesses are damning. Even more annoying is the fact that just as the problems become apparently insurmountable and the resolve to keep watching wanes, the show will suddenly throw you a curve-ball of unexpected quality. Jack and Gwen's characters develop quite nicely throughout the season, and a flashback episode to Jack's past in New York City and his relationship with Angelo is mostly successful. Perhaps a tad overwrought, but it's a highlight of the season (which bafflingly, goes on to play little to no role in the overall storyline of the season). It's also good to see that Davies hasn't forgotten that victories should be messy and earned painfully, with few characters left standing at the end of the season. However, bafflingly, the series ends on a series of cliffhangers which lead to the conclusion that there will be more Torchwood to come (though the storyline of the Miracle itself is resolved). Yet Davies has said he wants to move on and explore other projects and Starz have said they will only co-fund future series with Davies' involvement. So the open-ended nature of the series is somewhat baffling. Torchwood: Miracle Day (***) is a massive let-down after the excellent Children of Earth, though quite a few elements do work. The initial exploration of the central premise is well-handled, most of the cast (particularly the two new members of Torchwood) are great and the show handles its new trans-Atlantic format successfully. However, the writing is inconsistent, the production values collapse in the last two episodes to sub-Sarah Jane Adventures levels for no discernible reason and the series is left confusingly open-ended given there may be no more episodes in future. It's watchable and entertaining but, as the series goes on, increasingly only in a wide-eyed, what-the-hell-can-they-possibly-do-now kind of way. The series will be released on DVD and Blu-Ray in the UK on 14 November 2011. A US release date for the DVD and Blu-Ray has not yet been set. "Torchwood: Miracle Day is a massive let-down after the excellent Children of Earth". Here, here, I couldn't agree more. Whatever possessed Russell T? To take such a brilliant notion as Torchwood offshore, inhabit it with D grade US actors and actresses, play up Captain Jack's sexual preferences and take forever to get to the point, beggars belief! Ten episode Russell? The whole thing could have, and would have, been done in four if you had remained here in the UK. Plus the acting would have been far superior as well.